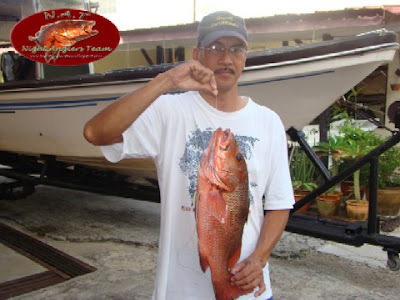 ,comando,hitam,steam)gila macam macam kerapu belurih.. sekali kan malam hidup tia GPS ah.. tarus arah takat perikanan labuan.. bottom fishing lah kai jigwrex saja.. labuh saja umpak 20 ekor dan kerapu bunga sama ruby snapper.. gambar gambar kerapu nada sal galap dah. torch light g tinggal. 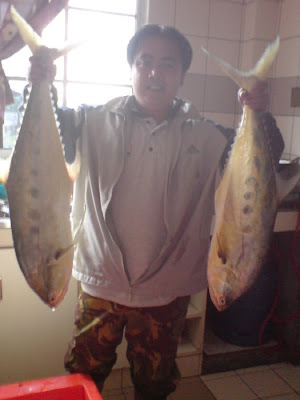 p/s: otw kira kira 500m dari darat.. banyak yellow fin tuna melumpat. bulan dapan lagi mengail d labuan. 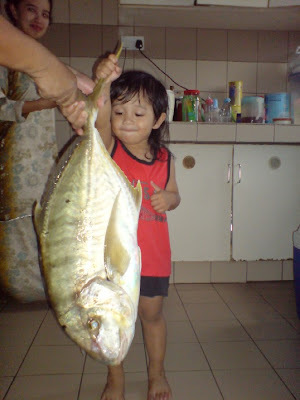 wohhoo siuk eh..
Nama Ikan : Ungah 3kg & 2kg , Langisi , Selunsong , Kerapu dan Alu-Alu. 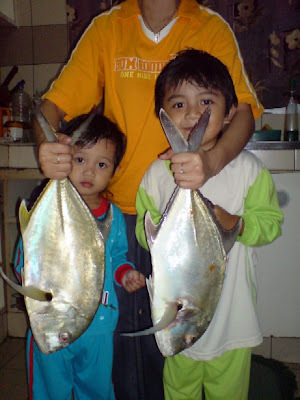 Umpan : Basong dan Sotong. Line : Tangsi Kina Brands 100lbs pakai sandakau . 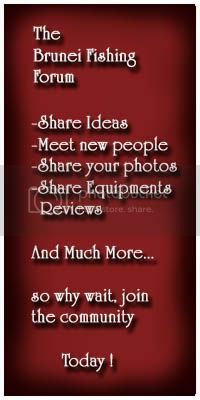 First time ikut join mengail N.A.T .. Siok eh Takat atu yang paling siok menarik Ungah .. Melawan x ah !! Hasil tangkapan: Bekalang, Bebatik, Lenguran & Bebarahan. 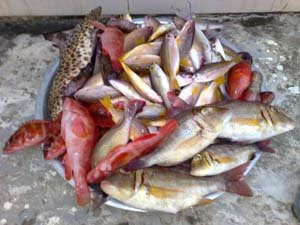 Berat: Bekalang (6kg), Bebatik (7kg), Lenguran (2kg) & Bebarahan (1kg). 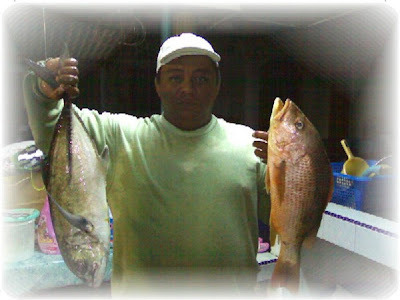 I have recently caught several fish at Muara area in the month of May and June 2008. 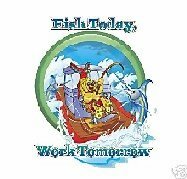 Helpful if you could post it over to Brunei Fishing so others can view it. Thank you. 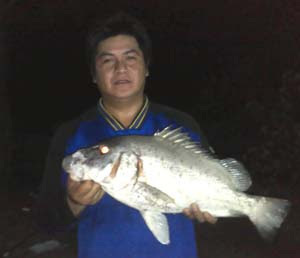 B.Fishing: Terima kasih Boy...Keseronokan memancing memang bertambah dengan sokongan keluarga disamping kita. Semoga awda berterusan menyokong laman ini. Ahli: Amin (Captain), Darun, Ak Amat, G Alin Destroyer, Raman856 (Camera Man). 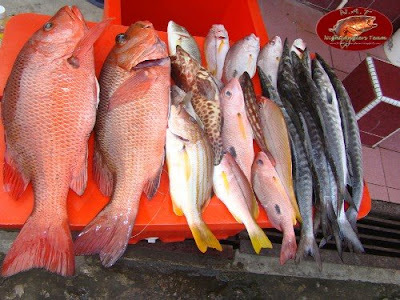 Ikan: Safie, Kapas-kapas, Languran, Ketam dan lain-lain. 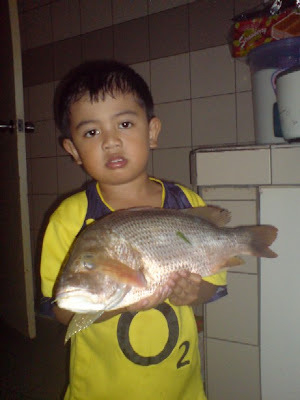 Umpan: udang hidup dan ikan Yu untuk bintur. Tempat: Sepanjang sungai Penyatang dan Danau. 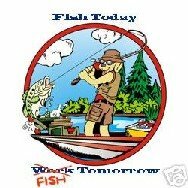 B.fishing:Terima kasih ...kepada Geng Amin dengan kiriman awda sungai Penyatang juga tempat potensi memancing..Joinlah Forum kita utk menhangatkan lagi suasana. Jenis Tangkapan: Tuka2,bebarahan jr.,Sembilang n mcm2 lagi. 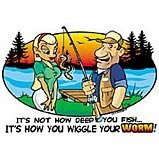 ps: sebenarnya ramai lagi yang ikut dan beroleh ikan,Tgh Hj Talib,Jali,Boboy n Wan,tapi nda smpat digambar disebabkan masalah teknikal,biarpun hujan ribut malam atu,perjuangan pancing tetap di teruskn.. 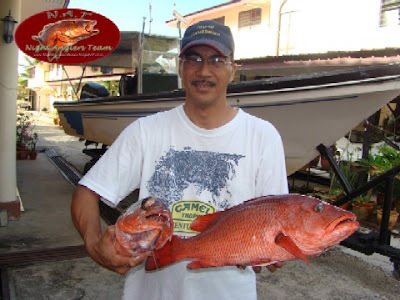 The RPBIC is an annual off-shore fishing competition initiated in 2004 by the Joran Unit of Berita Harian, a popular Malay language national newspaper in Malaysia. For the past three years it has been held at the sea off the town and serene beaches of Kuala Rompin in Pahang, about 125 km south of Kuantan. The Royal Pahang Billfish International Challenge takes advantage of the active migration season of the billfishes, such as marlin and sailfish (istiophorus platypterus), passing the Rompin area from the northern hemisphere to their destination in Australia, during the months of March to September. This annual billfish migration, passing through the area in their thousands, could be tracked via satellite. And one reason for their presence in the area is the abundance of shoals of anchovies and other small fishes to feed on. The reefs at Rompin, namely Karang (Reef) DO, Karang Cha, Karang Batu Mati, Karang Bubu, Karang Luas, Batu Berhala, Karang Rompin, Batu Saga and Tukun Tayar provide some of the best resting places for the billfishes before they move on. 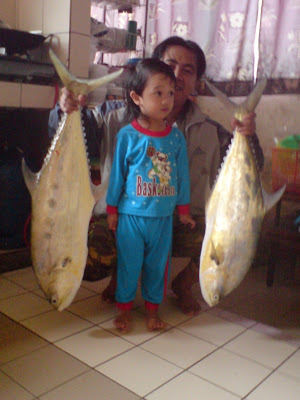 Bergaya dan bangga mamat kita ni sama ikan sailfishnya...bila agaknya saya pulak. 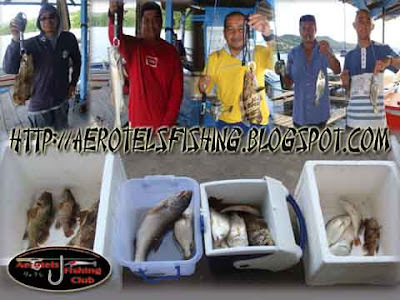 This was observed during the three years that the Royal Pahang Billfish International Challenge competition was held. 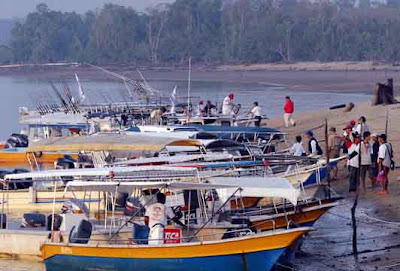 One of the objectives for the Royal Pahang Billfish International Challenge is to attract tourists to the state of Pahang, especially those who seek adventure and eco-friendly sports. The tourism industry in fact contributes about RM1.5 billion to Pahang state’s annual revenue, with about 5 million tourist arrivals to the state in 2006. Hotels in Pahang, especially those along the beautiful beaches, have benefited from the increase in tourist arrivals. The Royal Pahang Billfish International Challenge has grown in popularity and participation since its inception in 2004.The growing interest is indicated by the increase from 23 teams with 69 participants in 2004, to 33 teams and 99 participants in 2005. And in 2006, the number of participants increased to 120 with 40 teams.In 2006, teams from 13 foreign countries took part. Besides Malaysia, the sailfish enthusiasts came from Singapore, Phillippines, Japan, China, Canada, Australia, New Zealand, United Kingdom, Zimbabwe, South Africa, Indonesia and France and the figure increased to 128 participants last year.Also an indicator of the competition’s popularity, during RPBIC 2005, 87 sailfishes were caught and tagged, while in 2006, the number tagged was 185.The organiser, the Joran Unit of Berita Harian newspaper, with the sponsorship of the Pahang State Goverment and support of the ministry of Tourism plans to attract at least 250 sailfish fishing enthusiasts in 50 teams from all over the world, to participate in the Royal Pahang Billfish International Challenge 2007. But judging from the initial responses and positive feedbacks received, there could be more participants for the 2008, tentatively scheduled on 15th to 17th August 2008. 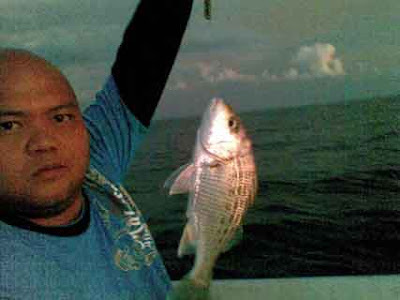 B.Fishing: e-Joran teman rapat kita..Bagaimana teman2 tak tergiurkah mencuba dan mengadu nasib sambil melancong ke Pahang. Semoga apa yang dikirim oleh teman rapat kita Mohd Helmi dapat menambat hati pemancing kita. Terima kasih....Teringin juga untuk melihat pertandingan prestige ini dimasa akan datang.